Natural Skincare. Threads. Soul Food. Crystals. Navy. Tune. Charlotte Lane. April ✖ May Featured Favs! Dig in. By now you should know two things about me 1) I make a conscious effort to use natural products on my skin and 2) I love coconut! Coconut oil, coconut cream, coconut flakes, coconut water …. the list goes on. So when the boyfriend bought home this gem and it ticked both of those boxes I was a) excited and b) impressed that he knows me so well (brownie points to you Dooze). A local brand to the natural skincare market and I’m in love!! I already keep coconut oil in the shower and use that as my moisturiser – Miss Foxy takes this to the next level. It is a whipped body moisturiser with 5 ingredients: coconut oil, avocado oil, calendula oil, macadamia nut oil and natural vitamin e. Delicious. Gentle. Addictive. Natural. Absolutely a new fav to add to my natural skincare routine. 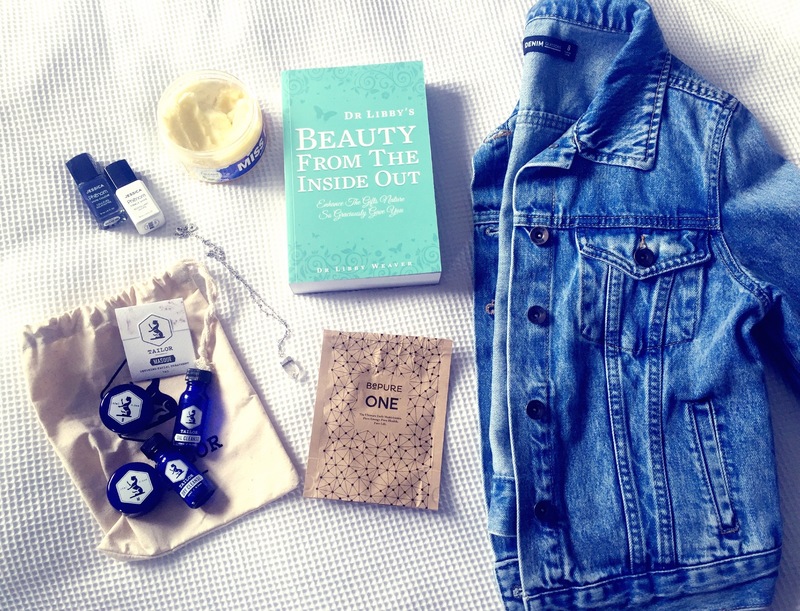 While we are on the natural skincare buzz – I was lucky enough to try some of the wee mini blue gems from Tailor. What a fab NZ Natural Skincare range!! I recently interviewed, Sara Quilter, the beauty and brains behind the brand, you can read that here. My must haves from the range are the Oil Cleanse, Dry Cleanse and the Tailor Masque. The Oil Cleanse is like lathering your face in liquid gold, oh it is good. Works like a gem for removing excess oil (who would of thought) and make up as well as cleansing and hydrating the skin. HEADS UP – I’m giving away a full sized Tailor Oil Cleanse on the Goal Diggers NZ Facebook Page this week, don’t miss it! I’m not sure if this needs an explanation. A must have for your autumn/winter wardrobe. If you’ve read GDNZ’s latest Featured Goal Digger you’ll know that I’m loving and reaping the benefits from using crystals in my daily routines. Thanks Emma for the knowledge and the inspo! I picked up this gorgeous Clear Quartz necklace from Decode in Queenstown – I wore it straight out of the shop so I’m unsure what brand the necklace is – if anyone recognises it please let me know. Clear Quartz clears away negative energy and gets rid of any vibrations that don’t serve you in a positive way. I’ve been wearing this baby around my neck and also keep one in the bedroom. Read more about Clear Quartz and other must have crystals here. I started to give up on doing my own nails and getting them done until my lovely friend Ileni, and the owner of Relax and Revive Beauty Therapy got me onto this amazing brand of polish. It has the staying power of a gel but removes like a polish. It is FANTASTIC!! Not to mention she picked me my fav colour, navy!! It is a three step system with a base coat, colour and top coat!! Simple to use, gorgeous at home results! The Ultimate Daily Vitamin. Pure Energy. Pure Health. Pure Life. I have just recently finished my second sample pack of these magic bullets of goodness and I’m feeling the difference after taking them for a couple of weeks and now stopping!! The suggested dosage is 3 pills in the morning and 2 pills mid afternoon – but I was only having 3 a day. AND MAN WAS I ENERGISED. Packed full with 50 of the highest quality ingredients that cover all of the essential vitamins, minerals and antioxidants our bodies need to perform their best everyday. Self-proclaimed as the numero uno on the multi-vitamin market. I think I’m ready to make the full investment, are you? This is the second book I own by this inspirational soul. SO MUCH INFORMATION. My favourite chapters so far have been Chapter 4 Part 1 Not So Beautiful Stress and Chapter 7 Beautiful Sleep. If you’re into learning about enhancing the gifts nature graciously gave you then this is a must read for you!! @charlottelaneclothing There are so many delicious pieces in stock at Charlotte Lane Clothing right now that I really need to invest in for my winter wardrobe. As well as posting their current fabulous stock, you’ll also find some hilarious quotes and outfit of the day inspiration reposted from their followers! A NZ boutique just waiting for you to explore! !